Mention Pinotage to most people and the reaction is a shudder of disgust. The grape, however – which has been subjected to more than its fair share of maltreatment over the years – is finally seeing a hard-earned renaissance, being embraced by producers, who are slowly but surely challenging and changing its reputation. Kanonkop is one of the few producers that has stood by the variety over the years, despite its unfashionability. This traditional Stellenbosch producer farms 50-year-old, unirrigated bush vines, ageing the resulting wine in barrel, crafting ultra-premium expressions that have long proven the variety’s worth. These are delicious, age-worthy wines. Pinotage’s history is pretty unromantic. It was created by Abraham Izak Perold – the first professor of viticulture at the University of Stellenbosch – in 1925. The notoriously fickle thin-skinned Pinot Noir was hard to grow, and by crossing it with Cinsault (at the time known as Hermitage locally), Perold hoped to produce a grape that offered some of Pinot Noir’s perfume but was hardier in the vineyard. Two years after he planted the four seeds that came out of this crossing, he left the university to work for the KWV – the country’s co-operative. The garden where they were planted was left unkempt and eventually university officials were sent in to clear it; it is only thanks to a young lecturer, Dr Charlie Niehaus, who happened to be cycling past that those four special seedlings were saved. He planted them elsewhere and the most successful plant was eventually propagated, the “mothervine” for the Pinotage we enjoy today. But it wasn’t until 1961 that the word “Pinotage” appeared on a label, after wines made with the variety earned national, and later international, recognition. Not everyone fell for the grape’s charms. It has – over the years – been criticised for a distinctive aroma, being inclined to develop isoamyl acetate – a compound which can smell a bit like paint, synthetic banana, or burned rubber. Some claimed it was a characteristic of the variety, some claimed the wines just needed time in barrel – with this element disappearing after a couple of years. Most claimed it was just shoddy winemaking. 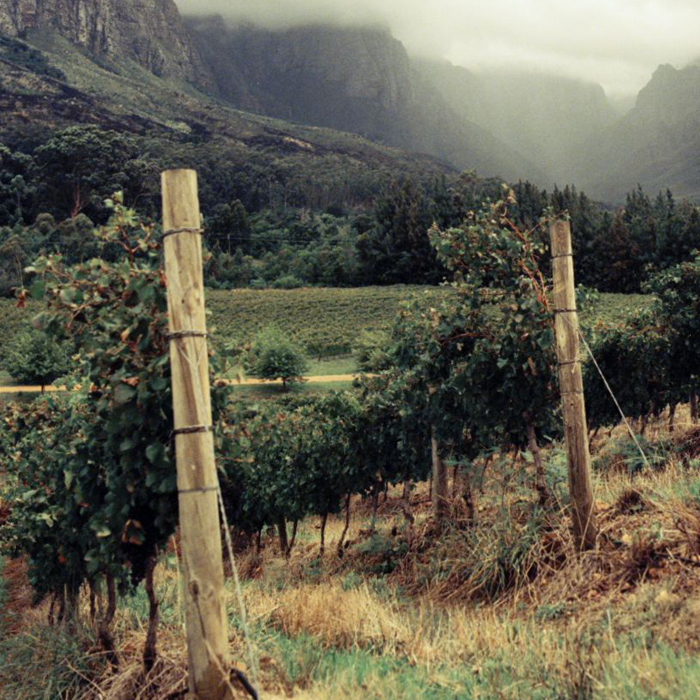 The Pinotage Association – formed in the 1990s – has championed the variety but also looked to explore these claims, encouraging and pioneering research into the way in which Pinotage is grown and made. As South Africa steps into the limelight, more than a few of the country’s most fashionable and talented producers – the “new wave” – are making their own styles of Pinotage. From perfumed and juicy wines that play on its viticultural heritage, through to more serious and structured offerings, Pinotage is proving that it needn’t live in the shadow of its parents. 2017 Scions of Sinai, Féniks, Pinotage, Stellenbosch, South Africa: “Féniks” means “phoenix” in Afrikaans – alluding to Pinotage’s revival. Working with 47-year-old vines, Bernhard Bredell – the man behind Scions of Sinai – has produced a wine filled with mouth-watering dark fruit, edged by something raw and meaty. The palate is juicy with a spicy, smoky, savoury finish, its grainy tannins deserving a hunk of meat fresh of the braai. 2017 Scions of Sinai, Nomadis, Cinsault & Pinotage, Stellenbosch, South Africa: This is an excellent “gateway” Pinotage: just 30 percent is blended with one of its parents, Cinsault, to create an immensely juicy and moreish wine. If you like Gamay, or lighter styles of Cinsault, this will be right up your street. There’s still a savoury touch to the crunchy red-cherry nose, with a floral lift. The palate is full of mouth-puckering bright fruit – almost cranberry-like – with a smoky twist on the finish. Taste the Scions of Sinai wines at our South Africa tasting on Tuesday 16th October; find out more here. I knew Kanonkop championed their pinotage but I thought the Paul Sauer was a classic Bordeaux blend – Cab sauv, cab france and merlot…? You are entirely correct. Thank you so much for spotting and this has now been corrected in the piece.